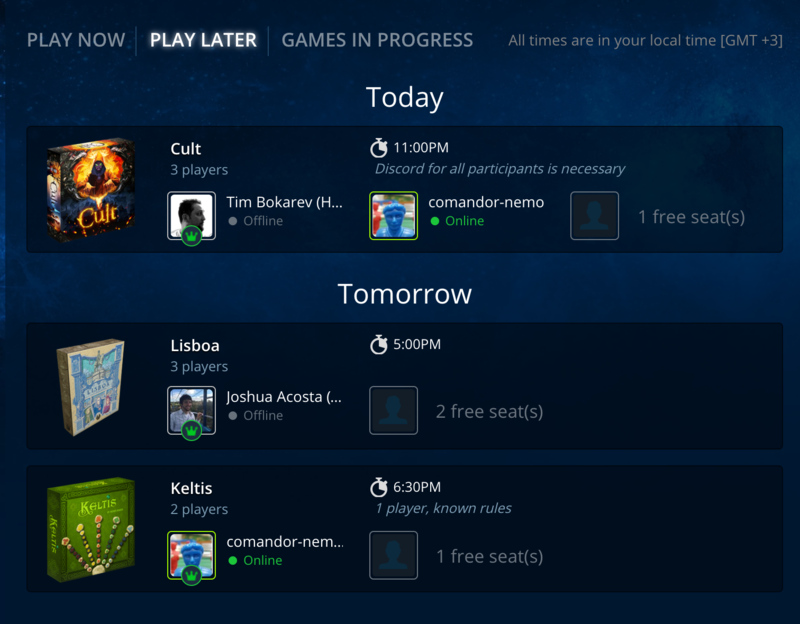 We’re glad to announce Play Later, a brand new feature in our Playground that lets you schedule games for future! It’s not always possible to play here and now. 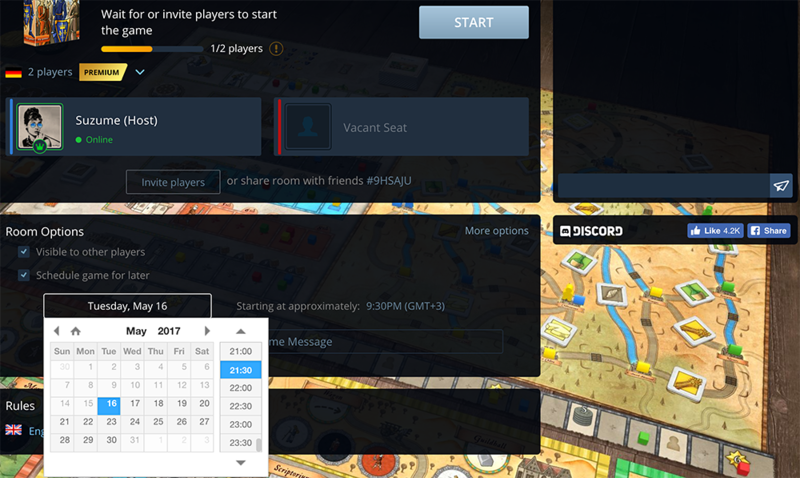 With Play Later you can plan the time and game you want to play up to 14 days ahead and let other people join if the time’s convenient for them. Also, you can add the event to your calendar so that you don’t miss it! Our Learn & Play events are now also featured on this page so that you always know what’s being learned and played this week. Let us know what you think of this new feature in Discord! To see all scheduled games, go to Playground > Find & Play > Play Later. All games are displayed in your local time for maximum convenience. Create a game room as usual. Check “Schedule for later” in the Room Options section. Choose the date and time and enter an optional welcome message. Your scheduled game is ready! The game will be displayed in the Play Later section for other players to join. At the time of the game, you will need to launch it once the players are assembled. For more details on Play Later see our article in Help.